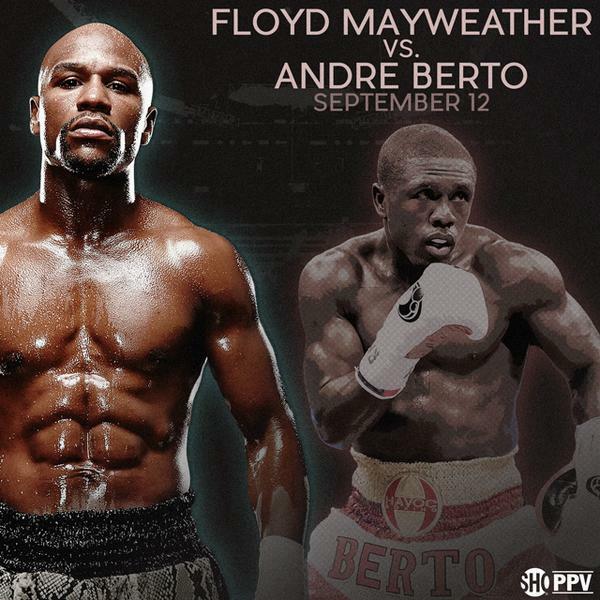 By Allan Fox: Virgil Hunter, the trainer for former IBF/WBC welterweight champion Andre Berto (30-3, 23 KOs), says he’s going to have the 31-year-old Berto come into his fight with Floyd Mayweather Jr. (48-0, 26 KOs) with a simple game plan for him to crack the MayVinci code when they get inside the ring on September 12th. Hunter doesn’t want Berto to have a complicated plan when he gets inside the ring with Mayweather, because he feels that those types of plans don’t work against a fighter like Mayweather. Hunter sees the simple plans on being the best against Mayweather. Hunter wants Berto to go into the fight using the things that have worked best for him in the past against other opposition. The problem is that Berto’s best skills have come up well short of the mark when he’s faced B level fighters like Robert Guerrero, Victor Ortiz and Jesus Soto Karass. It might help Berto to have a plan-B, C, D, E and F. Hopefully, Hunter doesn’t just have Berto come in the ring with only one option because it would be a shame to see Mayweather make one quick adaption in the opening round, and then spend the next 11 rounds clowning a confused Berto. Hunter needs to have some things that his fighters can use, because his fighter Amir Khan looked totally lost in his recent fight against Chris Algieri. Hunter was trying to motivate Khan in between rounds, but the two of them looked totally confused. It almost looks like the only fighter in Hunter’s stable who knows how to fight properly is Andre Ward. Perhaps it’s because he’s been with Hunter for so long, and he knows how to implement the things that he tells him to do. Berto doesn’t look any better than he did in the years before he was trained by Hunter. The only difference is that Berto has been facing weaker opposition recently in his fights against Josesito Lopez and Steven Upsher Chambers. Before those two fights, Berto was getting beaten up by guys like Jesus Soto Karass, Victor Ortiz and Robert Guerrero.